Aviation Updates Philippines - The new direct Davao-Singapore flights to be launched on December 17 by Cebu Pacific Air will give a boost to Davao City's tourist arrivals, Davao Region Tourism Officials said. Cebu Pacific will utilize its Airbus A320-200 aircraft for its Davao-Singapore flights. The aircraft can carry up to 179 passengers on a single flight. Photo by TheDesignAir. Cebu Pacific has introduced its direct two-weekly Davao-Singapore flights that will be launched this coming December 17, 2015. The launch date is the perfect time for Cebu Pacific to catch up with the holiday rush this coming holiday season. 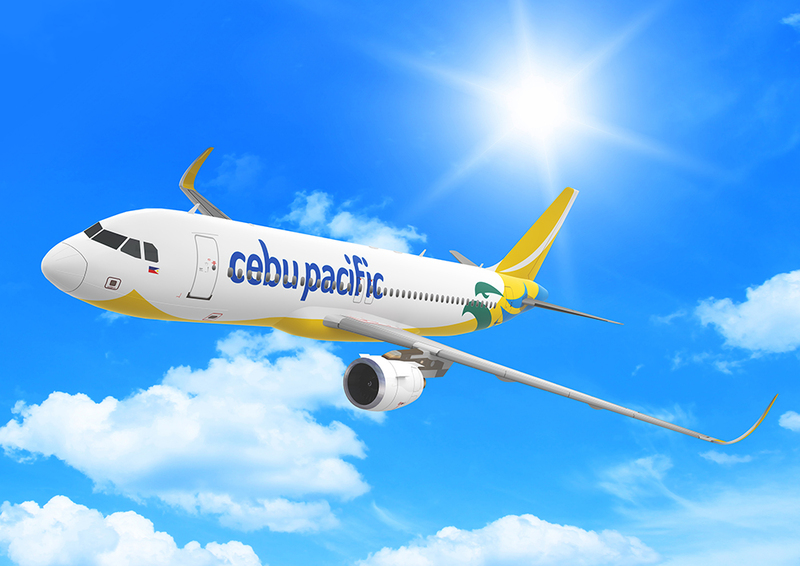 The flights are operated using Cebu Pacific's all-economy 179-seat Airbus A320-200 aircraft. Flights between Davao and Singapore takes three hours and thirty five minutes. At present, only SilkAir, the subsidiary of Singapore Airlines, operates nine weekly flights between the two destinations. "We would like to see Singaporean market to increase with the opening of this new international direct flight," Davao City tourism officer, Lisette Marques said during the Kapehan Sa Dabaw at the SM City Davao Annex on Monday. A delegation composed of representatives from the Department of Tourism (DOT), specifically the agency's route development department, the Davao City Tourism Operations Office, Cebu Pacific Air and other private sector tourism stakeholders, went to Singapore to update the Singaporean market on the region's tourism offerings, Roberto P. Alabado III, regional director of the DOT said in a separate interview. "We did a product update and introduced to Singapore business and tourism industry the new Davao-Singapore flight," Alabado said. Meanwhile, there are talks about introducing direct flights to Darwin in Australia and flights to India from Davao City to boost foreign arrivals in the said city. "Talks on establishing a direct flight in Darwin, Australia and India are on the process now, these direct flights are important in boosting our foreign tourist arrivals here,” Marques said. The city of Darwin in Australia is only connected with flights from Manila operated by the National flag carrier, Philippine Airlines. Darwin is the capital city in the Northern Territory, Australia and has around 150,000 people living.